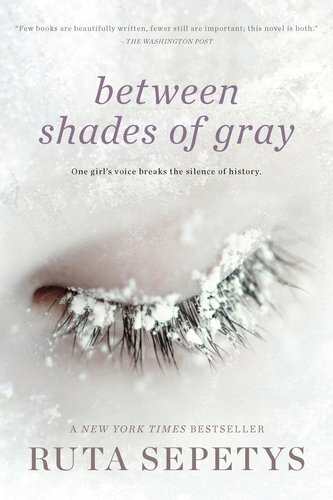 A Literary Odyssey: Between Shades of Gray by Ruta Sepetys. I keep seeing this one around and need to pick it up. A War Lit class would be great -- here's to hoping you get to teach it in the future! This sounds fascinating! I'll defintely add it to my "to buy" list, though I don't know when I'll be able to read it. You're right in that, when we think about WWII, we (most of us) automatically think about Hitler and the persecution of the Jews. But Stalin was just as brutal and I would point out that there was in fact a third dictator, also dangerous and terrible: Benito Mussolini of Italy. In 1938, he introduced "The Manifesto of Race," which actually stripped Jewish-Italians of their citizenship and forced them out of any professional positions, whether in government or the general private sector. To be fair, Mussolini refused to send Italian Jews to concentration camps (this only happened after Mussolini lost power), but he absolutely believed in a Totalitarian, Imperialist Italy - and was also known to consider other races, particularly Africans, as inferior to whites. More interesting reading to be found?? Great review! I felt the same way about this one. I'd never heard about this, I was blown away. Such an important read. I am definitely adding this to the wish list. And you should read When God Looked the Other Way...that would be on my list for your dream class. Wonderful review! I've seen mentions of this book here and there, but never a full review. Wow does this sound like a moving book. I never knew that information about the Lithuanians either. I do think that many atrocities do get skipped over in popular war accounts, so having literature on the subject is a very good thing. I definitely want to check this out! I found this one really powerful as well. In the past two years I've been reading more and more about WWII in Russia and it has been very eye-opening. My knowledge was so based in the European side of the war. This has been on my to-read on Goodreads for ages but I haven't acquired it yet. I kind of want to rush out and buy it. It sounds tragically beautiful. I kind of liked reading war literature in high school and still today. I think it teaches us compassion and how power (especially absolute power) can and often is, not only corrupt but deadly. And at times deadly for those who are not necessarily the intended targets. I tell everyone that this is the Shades of Gray book they should be reading. Such a wonderful novel. I absolutely loved this book for the reasons you mentioned. I'm a big WWII novel fan. I also loved The Things They Carried. I've heard really great things about this book but seriously you really got me at, "If you loved Night by Elie Wiesel." That is one of my all time favorite books EVER. Now I can't wait to pick this one up. Thanks for the review!